A form of packaging is needed for literally every single businesses that offers a product of any kind. Whether shrink wrapping, paper banding, stretch wrapping, bagging, or boxing, packaging is a necessity. Whether you are creating packages that need that final beautiful touch before sending them off to donors? Or maybe you're just putting together gifts for all the teachers in your school. No matter what your project is, we offer a broad assortment of packaging machines and packaging supplies of the highest quality, and at competitive prices. Our selection of shrink wrap machines includes bag sealing equipment and manual or automatic bar sealers to suit every need or application. 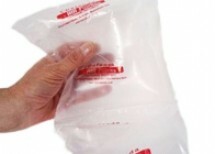 Shrink wrapping is an excellent choice for businesses that require professional packaging at an affordable price. 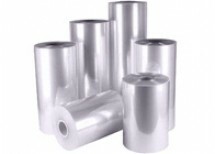 We offer a wide variety of shrink wrap film in several gauges and sizes for you to choose from. 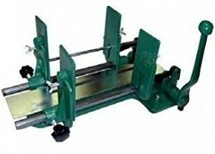 We also offer paper banding machines and banding strips that offer a quick and easy solution to bundling your stacks. Packaging can also offer an opportunity to set yourself apart from your competitors, by offering a more unique experience to your customers when they receive their product. Have you ever opened an item you purchased and been super impressed with the packaging? I know I have! And those companies stand out from the many others that just send plain old items. One way to set your packaging apart it to give your customers the experience of opening a gift with tissue paper either wrapping your item, or placed on top. It is also important to really fill the void of your boxes when shipping to not only actually protect the items, but to also give the customer the assurance that their item will not be damaged. By choosing Binding101 as your packaging supplier, you can protect all kinds of packages and projects from dirt, moisture, and so much more for just pennies a piece. Our courteous and professional staff is here to help you every step of the way. Chat online with one of our representatives to enjoy one-on-one customer service. If you have any questions about our shrink wrap machine and film selection, please contact us today for additional information. Email info@buy101.com or call us at (866)537-2244 (866)537-2244 today.